FLINT — The Flint Firebirds are still in search of that elusive first win following a 7-4 loss to the Ottawa 67’s at the Dort Federal Event Center on Saturday. The 67’s attacked quickly, notching a pair of goals in the game’s first 16 minutes. Jake Durham answered with a power play tally late in the opening frame. Ottawa added another early in the second period before the Firebirds quickly erased the two-goal deficit. Hunter Holmes and Ty Dellandrea each scored just 16 seconds apart to draw even. However, that draw didn’t last long. In just over three minutes, Ottawa ripped off three-straight goals to pull away. CJ Clarke’s goal late in the period gave Flint a little momentum, but Ottawa would get the only goal of the final stanza. The Firebrids hit the road on Friday for a 6-2 loss to the London Knights. London buried the game’s first goal less than two minutes in, but with less than two minutes left in the period, Dellandrea knotted things up. Once again, the tie didn’t last long. The Knights recorded the only goals of the second period to take a 3-1 lead into the third. Eric Uba would net one early in the third for Flint, but London capped the game off with three unanswered goals. 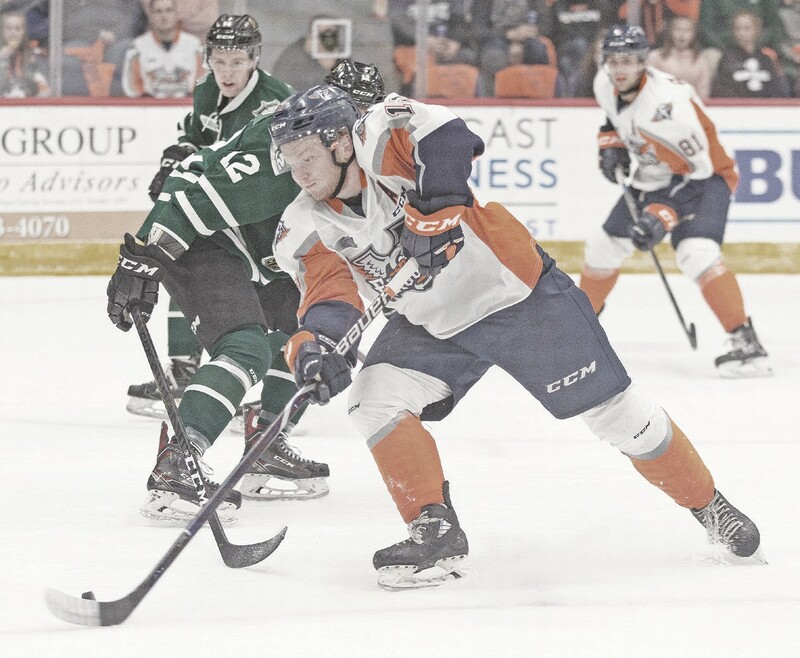 The Firebirds remain at the bottom of the standings at 0-16-1-0 for one point as they host Sarnia today, Sault Ste. Marie on Friday and Mississauga on Saturday.